Background : Son of James Robert and Marion Matilda Linklater, of Fitzroy, Victoria, Australia. 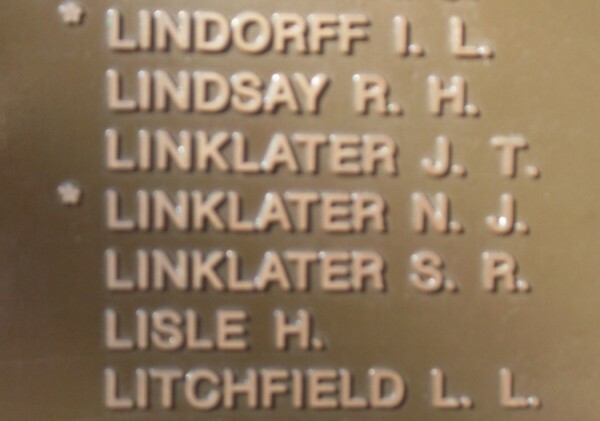 Brother of VX40334 Stanley Robert Linklater (2/2 Pioneer Battalion)? At enlistment : single. No previous military experience. Blue eyes, fair hair. Marks / scars : burn scar right ankle, horsehead tattoo right forearm. 05/06/1940 Taken on strength by R.R.D. 07/06/1940 Posted to 2/2 Pioneer Battalion, Puckapunyal Camp, Seymour, Victoria. 04/05/1941 Disembarked at Port Tewfik, Suez. 18/02/1942 Disembarked at Batavia, Java. 06/03/1942 Reported missing in action Java.